Albury, a major regional city in New South Wales, Australia, is located on the Hume Highway and the northern side of the Murray River. Explore the numerous day-trip ideas around Albury: Mount Hotham Alpine Resort Management Board (in Mount Hotham), Falls Creek Alpine Resort (in Falls Creek) and Rutherglen (Olive Hills Estate, Andrew Buller Wines, & more). There's much more to do: do a tasting at Pfeiffer Wines, pause for some photo ops at Monument Hill, head outdoors with Oddies Creek Playspace, and admire the natural beauty at Albury Botanic Garden. For maps, where to stay, and more tourist information, you can read our Albury online tour itinerary maker . Sydney to Albury is an approximately 3-hour flight. You can also drive; or take a bus. Plan for little chillier nights when traveling from Sydney in October since evenings lows in Albury dip to 9°C. Finish up your sightseeing early on the 17th (Thu) so you can travel to Perth. Get out of town with these interesting Perth side-trips: Fremantle (Fremantle Prison, Western Australian Maritime Museum, & more) and Caversham Wildlife Park (in Whiteman). Dedicate the 20th (Sun) to wine at some of the top wineries in the area. Pack the 24th (Thu) with family-friendly diversions at Adventure World Perth Australia. 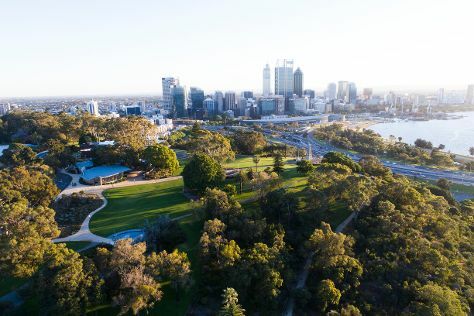 Next up on the itinerary: walk around Kings Park & Botanic Garden, explore the activities along Swan River, admire nature's wide array of creatures at Perth Zoo, and explore the world behind art at Art Gallery of Western Australia. To find where to stay, more things to do, and other tourist information, you can read our Perth journey builder website . You can fly from Albury to Perth in 7.5 hours. Alternatively, you can do a combination of train and flight; or drive. Traveling from Albury to Perth, you'll gain 2 hours due to the time zone difference. October in Perth sees daily highs of 28°C and lows of 12°C at night. On the 25th (Fri), wrap the sightseeing up by early afternoon so you can travel back home.